Born and raised in Memphis, TN. Growing up, admits she enjoyed taking part in entrepreneurial endeavors and always knew she wanted to be her own boss one day. Attended Vanderbilt University where she received a degree in electrical engineering and computer science. After graduating, focused her career in the electrical engineering industry where she worked at DuPont and Phillip Morris. Eventually transitioned from electrical engineering to biotechnology and pharmaceuticals where she worked for companies like Merck & Co., Genentech, and Pfizer, Inc.
After working as an engineer for over 20 years, started exploring ways she could pursue her interest in becoming an entrepreneur within the biotech industry. Says she “accidentally” began trying to solve the problem of the lack of women and people of color in technology after seeing her daughter struggle to get involved in computer programming. In 2011, founded Black Girls CODE, providing technology education for African-American girls. 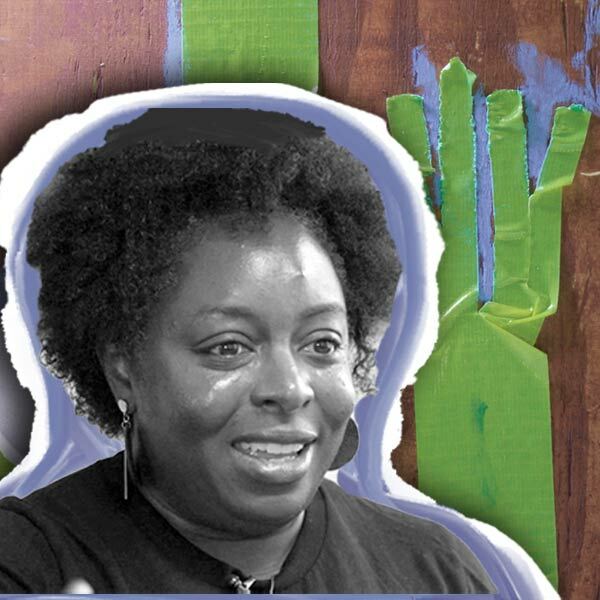 Has since won many awards and was named one of the 25 most influential African Americans in technology. I founded a training course that teaches basic programming concepts to girls of color. Most of my day is spent taking steps to continue building and expanding our organization. That can include meetings, phone calls, research, pitching, traveling, attending conferences/events, etc.. My job is to lead our organization and provide direction for our employees so that we can achieve our mission. I am also always in the mindset of how to best advocate for our cause. Always be authentic! Leadership skills are invaluable. You have to enjoy being your own boss and being in charge. My experience building teams, being a manager, and balancing stressful tasks has given me a unique ability to be a successful entrepreneur. Seek out experiences that will help you gain those skills. Be familiar with business basics. Don't be afraid of making mistakes. Basic technical skills are also useful. Above all else, you have to have the passion and hunger to get up and pursue your vision every day, even when you don't feel like it. If you don't have that, being an entrepreneur is going to be even harder, and you honestly probably won't make it very far. Dedication is the key. "We need to launch this now! No more waiting." When I was first starting Black Girls CODE, I was working on the business idea and early development stage for a really long time. I kept hearing people tell me that it was ready and I needed to just launch it already. As a first time entrepreneur, I faced a lot of uncertainty and wanted to make sure that I did it correctly. It held me back from taking the leap, but I eventually got there. In technology, I have witnessed a lot of discrimination and there is a huge disparity in the participation of women and people of color. I never used to see people like me in this field. I started my company in order to solve this injustice. I didn't set out to be an entrepreneur in computer technology or nonprofits. I thought I would do something in engineering or biotechnology because that was what I was familiar with. Making the transition was accidental, but necessary. As a first time entrepreneur, I was plagued by doubt and uncertainty about whether I had the right skills or had a good enough idea. It held me back for a long time, but I eventually took the leap. Entrepreneurship is a leap of faith.